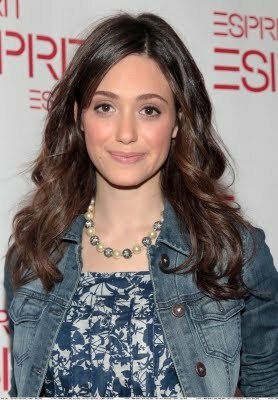 Emmy Rossum at the opening of the new Esprit store in New York City on March 23. Emmy wore items from the brand event, including the fitted jean jacket and navy-and-white frock for the event. Suede pumps completed the look. Get Emmy's dress and jacket on-line at the esprit.com site. Her dress is the £48.00 Floral Print Empire dress.